A couple of the wells had elevated levels of lead, and two of them had “exceedances” for certain types of radioactivity, according to a summary of the preliminary results that DOE Environmental Manager Sue Cange sent to Roane County Executive Ron Woody. The results were from a first round of sampling in DOE’s “Offsite Groundwater Assessment,” which was launched about a year ago. Additional well samples are being taken this month to gather information about groundwater flow and to evaluate potential for pollution from DOE sites reaching residential areas. The purpose of the study is not to establish the water quality of individual wells, Cange wrote, although all 36 property owners whose wells were sampled received letters from DOE — either stating that nothing was found that exceeded standards or, in the case of three, letters that discussed the results of elevated contaminants. Woody said there did not appear to be any indication that contaminants in the three wells were associated with DOE operations. “I didn’t see any issues,” he said. David Adler of DOE’s Office of Environmental Management said radon and other radioactive elements identified in the sampling occur naturally and are found commonly in groundwater. The Tennessee Department of Environment and Conservation is doing independent sampling. 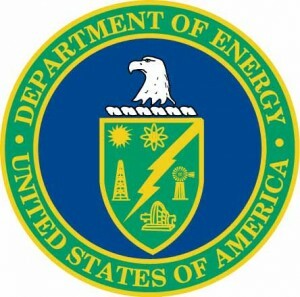 The specific sites of the wells were not released, but DOE spokesman Ben Williams said two of the wells with results above drinking water standards were in Bear Creek Valley west of the Clinch River, and the third was in Sugar Grove Valley about four miles west of DOE’s East Tennessee Technology Park. These sites are downstream from the Jones Road properties — near the boundary of Loudon and Roane Counties — where well-water pollution concerns were raised a few years ago. In those cases, DOE paid to hook up property owners with treated-water lines and now uses their former drinking wells to monitor pollution.